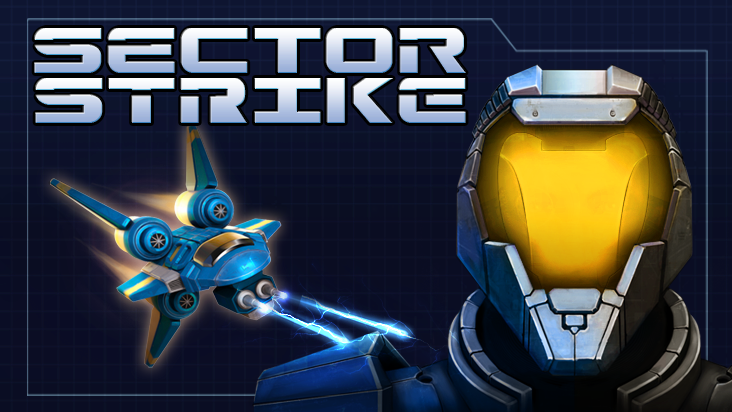 Decent Ouya shoot 'em up releases have been a little thin on the ground lately, so I was pretty surprised when I turned mine on the other day and discovered Sector Strike sitting in the sandbox. With the official blurb boasting that the game 'combines the mechanics of old school shooters and the aesthetics of modern 3D games' it had to be worth checking out. And now, several hours later, I'm rather glad I did. A little Google research on the developers (Clapfoot Inc.) offered more information on this hitherto unknown release - namely that the game was originally released for Android and iOS devices back in 2012. 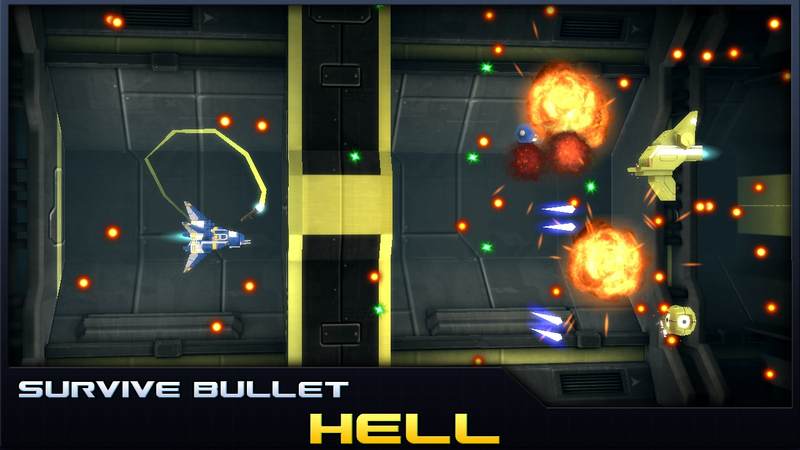 My heart sank a little; as a follower of the shmup scene, surely I would have heard of the game if it was any good? Well, I guess the answer to that is a mixed 'yes and no' affair. Sector Strike, as it turns out, is a decent little game, yet sadly not without its issues - none greater than the fact that it follows the increasingly popular free-to-play (aka 'pay not to play') model. Damn it people, if I like a game I want to be able to buy it; pay once and then own it. Attempting to lure me into parting with cash to buy power ups not available in standard play, coins and so on just makes me feel wary of hidden pay-walls later in the game, especially with the exponential cost of upgrades. For the purpose of this review I've played the game without making any in-app purchases, and I'm glad to report that although there is a fair amount of level grinding required, it is possible to progress without hitting a point where you have no choice other than to pay. 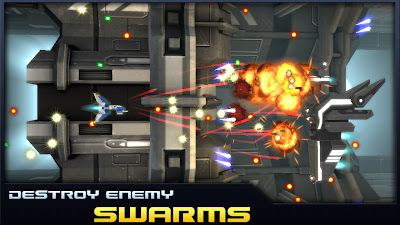 Sector Strike is similar to the recently reviewed Doujin shmup Mok Force in that it is based on procedurally generated level structure; each level is a fixed length and populated by enemy waves that are selected at random from a bank that is constantly added to and enhanced as you progress through the game. This system actually works really well - the wave patterns are easy enough to recognise, learn and counter-attack, and as a result the gameplay is kept feeling fresh. With it's short levels (the titular 'sectors') and overall repetitive nature of the game this random element maintains interest on repeat runs through a stage, although it does occasionally affect the balancing due to a luck-of-the-draw affect; I've failed some stages only to play them again and face a far weaker opposing force. By declaring the game features 'old school mechanics', I guess they are referring to the ship-sized hitbox, complete lack of plot or backstory, traditional power-up system and overall difficulty. 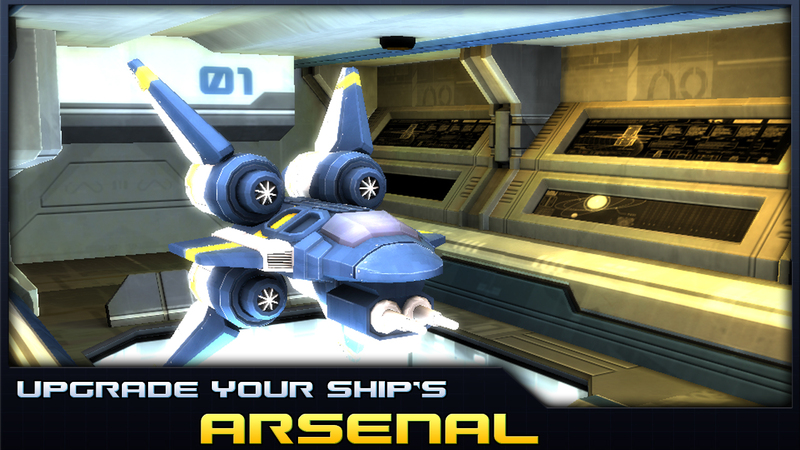 Less traditional modern design elements include the fact that the game continues from the sector where you last died with all upgrades still intact, and the focus on resource collecting (grinding) in order to constantly match your ship stats in the shop against the increasingly tough enemies. 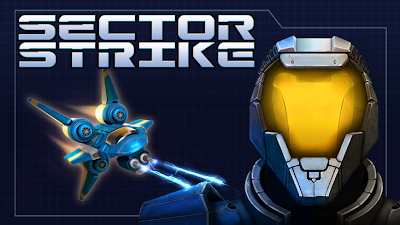 Sector Strike starts out super easy, but by the time you've progressed through to Sector 25 you'll be struggling to get past the bigger enemy craft unless you've sufficiently upgraded your weapon systems. New enemy types and wave patterns are introduced more or less every Sector, and although the overall experience is very repetitive in nature, there are always new challenges to meet on the battlefield. Presentation wise, the 'modern' graphics are really more akin to a game from the Dreamcast era, with low poly-count yet interesting ship designs that look like a cross between something from WipeOut and Star Wars. The fast-moving, looped background graphics vary subtly in colour every sector as well as in overall theme after every 15 stages, making a welcome change that in many cases doesn't come soon enough. In addition to featuring enhanced graphics, the Ouya version is without doubt superior to the original Android and iOS builds due to the simple fact that it is played via a real controller; I've yet to play a shooter on a mobile phone or tablet on which the 'drag your finger around the playfield, obscuring enemies and bullets' method works better than a proper, hand held controller. Call me retro or whatever, but nothing is ever going to convince me that touch-based devices are an optimal platform for shmups. On the other hand, the sonics are a little underwhelming, with a repetitive titlescreen track that doesn't quite loop properly and in-game music that only changes after each 15 sectors beaten. The sound effects are ok, but there's nothing that particularly stands out or stays in your memory. On a similar negative note, the game also features a few minor bugs; pressing the Ouya button in game pauses the action, but hitting it again exits pause and continues play without any sound - you actually have to press the button again to bring back the audio. Also, on beating the first area the stats box never appeared, leaving me stuck on an empty screen and with no choice other than to quit and reload the game. Nice. I guess the real question to ask is if the game had been a standard 'play the first 5 levels free, unlock for $2.99' affair, would I have bought a copy? Most certainly. I'm up to Sector 37 at the moment after a few hours playing, and like many mobile phone ports it's clearly designed for picking up and playing for a few minutes at a time rather than for drawn-out sessions. Whether or not that particular style of play suits your own lifestyle is up to you to decide. To conclude, despite its flaws and pay model I find it hard not to recommend that fans of the genre give Sector Strike a go. Download the iOS version here (from the iOS App Store). 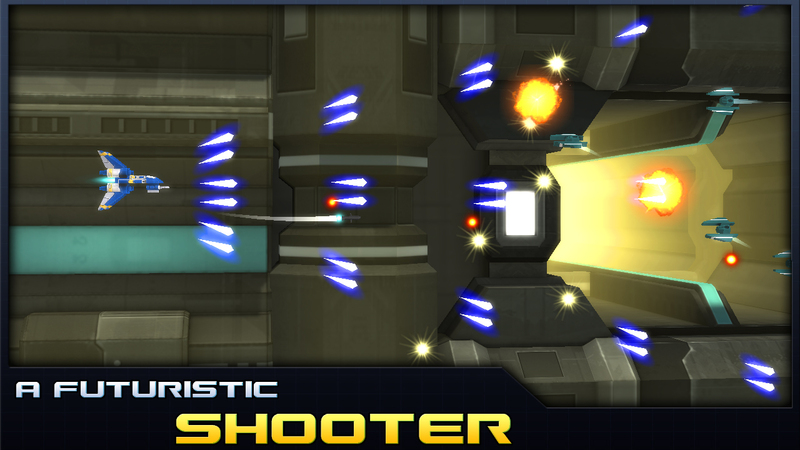 Download the Android version here (from Google Play). Yesterday the game stopped responding to directional control on my OUYA. Can't start a level!